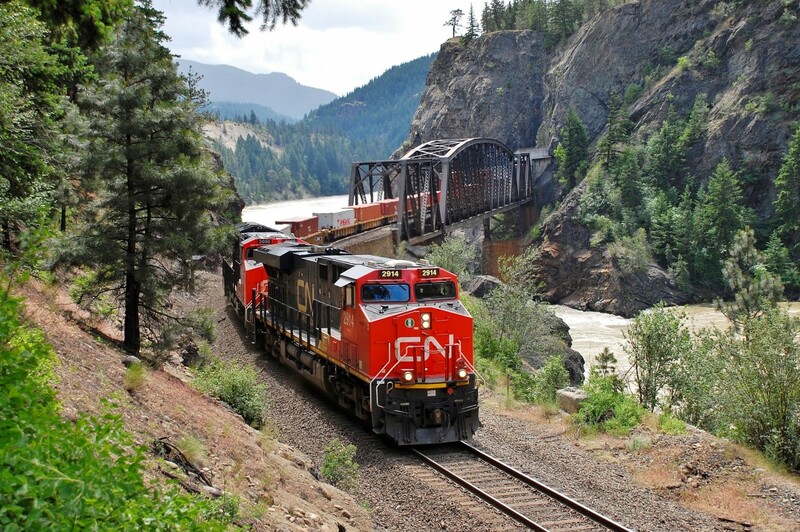 Railpictures.ca - Richard Hart Photo: CN nos.2914 & 3096 have just crossed the CP bridge at Cisco and are headed east towards Lytton in charge of this eastbound Intermodal. | Railpictures.ca – Canadian Railway Photography – photographie ferroviaire Canadienne. Caption: CN nos.2914 & 3096 have just crossed the CP bridge at Cisco and are headed east towards Lytton in charge of this eastbound Intermodal. This area is very popular with photographers! That bridge looks like a model. No end to the scenery!! !